The international port of Texas, Port Houston, had a record-breaking 2018 as container volume through the port grew by double-digits. Port Houston Executive Director Roger Guenther announced several records were broken in 2018, including that total tonnage at Port Houston facilities set a record of 35.7 million tons, which reflected an increase of 9 percent from 2017. “The strength of cargo activity helped drive Operating Revenue to $366 million for the year shattering the previous record set in 2017 of $333 million,” Guenther said. Combined business through the port’s public facilities generated a total cash flow of $162 million, surpassing the previous record set in 2017 of $151 million. “With the leadership and guidance of our Commission, our port continues to prosper,” said Guenther. 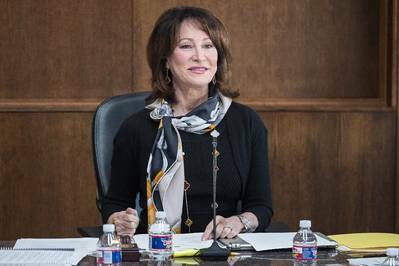 Port Commission Chairman Janiece Longoria presided over her last meeting Jan. 29, due to term limits. She received a standing ovation in gratitude for her leadership and a lasting legacy. In her closing remarks, Chairman Longoria highlighted her achievements as leader. She underscored that during her tenure, since 2013, $1 billion in capital investments had been made, funded from free cash flow generated through container operations. She applauded staff for its “strategic and forward thinking” for providing that management.